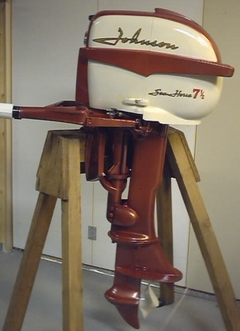 "Just a short note to say thanks for the restoration work you did for me on my 58 Johnson and my 58 Evinrude. 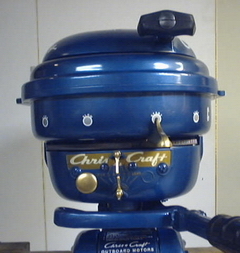 Great work, great price and to top it off it was a pleasure to meet and work with you on these restorations. 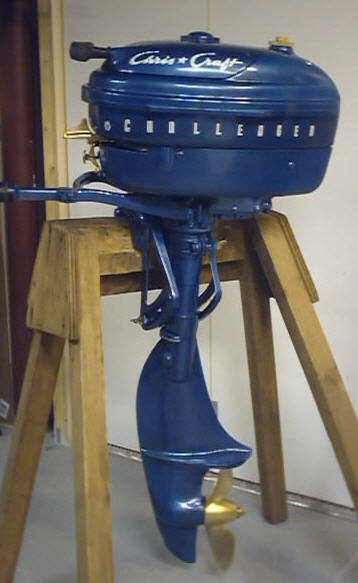 I hope my boats come out as good as the motors." 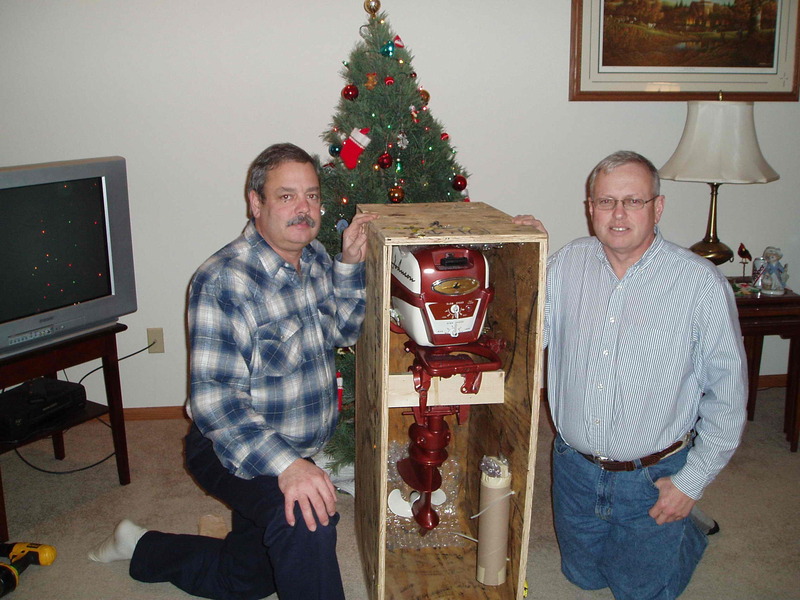 "Steve, The 1958 Johnson Christmas motor was a hit, my brother is going to keep it at his cabin and will enjoy for years to come. The picture attached shows the two of us, Im the younger, much younger one on the left. Thanks again for everything. 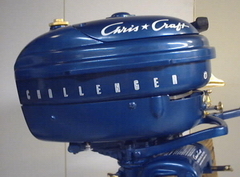 Bill"
1958 Johnson 7.5 HP featured in Hollywood motion picture: "The Prize Winner of Defiance, Ohio"